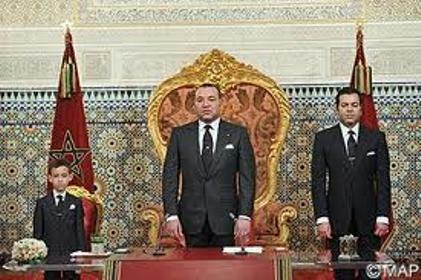 On July 1, Moroccans voted overwhelmingly to approve a new constitution proposed by King Mohammad VI roughly two weeks earlier. This new constitution represents the culmination of a process crafted largely by the king in an attempt to quell the protests and avoid potentially more threatening unrest. In a mid-June address to the nation, the king portrayed the coming reforms as transformative. In reality, they offer little by way of empowering Parliament, guaranteeing independence of the judiciary, or making the ruling elite accountable to the people. Leading up to the referendum, the February 20 Movement and those hopeful to see change, were rightly disappointed by the new constitution and dismayed by the rushed referendum to approve it. But the Interior Ministry reported that 98.5 percent of voters had approved the document with a voter turnout rate of about 73 percent of eligible voters – an extraordinarily high number given the political apathy that characterized past elections as well as calls for boycott. With a vote margin typical of authoritarian regimes, the monarchy can easily claim that these reforms have satisfied its subjects and that further opposition would be contrary to the popular will. 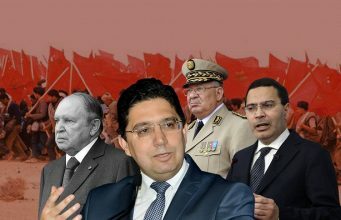 Rather than driving reform, the referendum and the new constitution are more likely to kill hopes of further liberalization in Morocco, real political reform that alters the kingdom’s fundamental political structures. The king’s strategy to portray himself as leading reform is not new, and was, in fact, mastered by his father King Hassan II. The pattern is clear; whenever a sense of popular dissatisfaction emerges, largely superficial reforms are quickly pushed through and further debate is cut off. A little violence is sometimes employed here and there, enough to scare opponents, but not enough to draw international attention. This strategy has allowed the monarchy to remain on top through almost every crisis; the king appears as the arbiter of political turmoil rather than its object. The proposed constitutional change is doing exactly that. And the referendum last week has likely marked the end of liberalization – at least for the time being. In order to lend this constitutional revision exercise some credibility, a few genuinely positive changes were enacted, though they tended to be social rather than political. The indigenous Berber language, Amazigh, will now become an official language alongside Arabic. Gender equality is also assured – at least in writing – although it is unclear how the promise of gender equality will affect family laws and inheritance laws (which are in accordance with Islamic principles). But even apart from that, it remains to be seen whether the government is prepared to accept journalistic freedom. The king’s speech came out shortly after Rachid Niny, editor of the local paper Almassae, was sentenced to one year in jail and a fine for his scrutiny and criticism of the ruling elite and security apparatus. The main political change that many reformers had hoped to see is a smaller role for the king. However, it is clear the king had no intention of allowing limitations to his power. The new constitution gives the prime minister – now to be known as president of the government – a bigger role without taking away the king’s power. The king will now nominate a prime minister from the party that holds the largest share of the popular vote. However, this was already the case with Abbas al-Fassi, the current prime minister. Under the new constitution, the prime minister will have the authority to “propose and dismiss” members of the Cabinet and a few other civilian posts, though the king maintains his prerogatives to appoint the powerful walis, or governors, ambassadors, and heads of security institutions. The prime minister still cannot dissolve the Cabinet without the king’s consent. The king can delegate the chairmanship of the council of ministers to the prime minister but the latter can only operate within the confines of agendas set by the king. The king will retain his religious and military leadership status, key pillars of his power; he presides over the High Ulama Council and controls the armed forces. Surrendering his religious authority or sway over the armed forces was never really on the table. And while this was predictable, it highlights the sense that the monarchy ultimately relies on religion and forces to maintain its power. The new constitution may be an innovative restructuring of national institutions, but all real decisive power remains in the hands of the king. 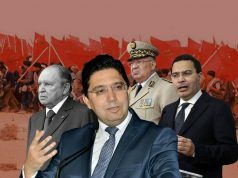 The near unanimity of the referendum does not necessarily mean that this constitution represents the political reform that Moroccans have demanded. The vote for incremental change endorsed by the king could be more a rejection of the uncertainties of transition that Egypt and Tunisia are undergoing and of the chaos and violence that is consuming Libya, Syria and Yemen. But when regional turmoil calms, there may be a realization that the new reformist constitution did more to arrest the process of liberalization in Morocco kindled by the Arab Spring than advance it.